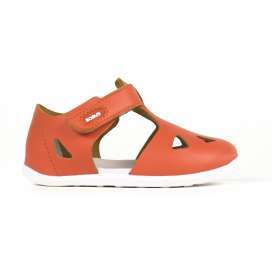 Bobux manufactures pure minimalist shoes that protect the feet, but that do not restrict their freedom of movement and growth. 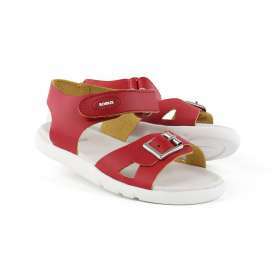 Its manufacturing uses materials of the highest quality and that meet environmental standards, under an eco-friendly philosophy. 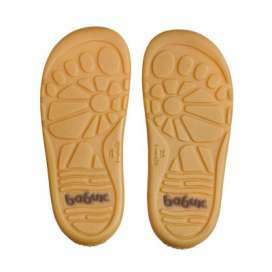 Bobux recognizes that moving barefoot or barefoot is the most natural way for the correct development of the foot. 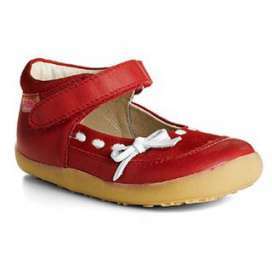 During childhood, the feet of children suffer many changes and need space to grow, strengthen and develop naturally. 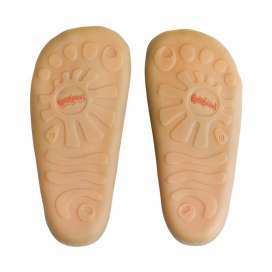 And the best way to promote the health of the feet is by allowing the children to crawl, walk and run barefoot. 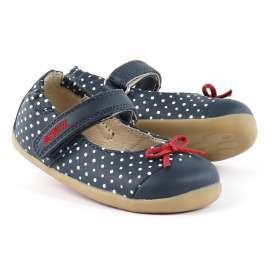 This allows them to acquire balance, coordination and good posture. 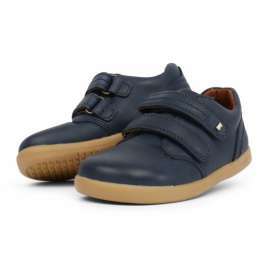 Nothing is more important for Bobux than the shoes adapts to the feet of the children and not that the feet of the kids adapt to the footwear. Drop 0/Weight 140g/Stack Height 10 mm. 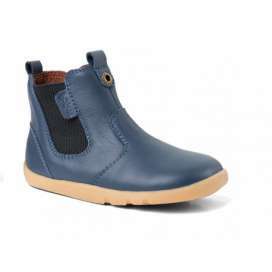 New for 2018 the Aspen Boot is a cosy winter boot lined with merino wool for extra warmth. 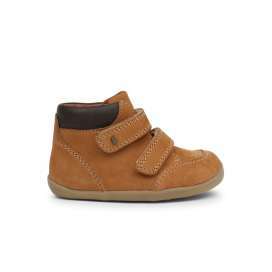 With an internal waterproof membrane and a water resistant coating this is a great option to keep little feet warm and dry this winter. Drop 0/Weight 120g/Stack Height 10 mm. 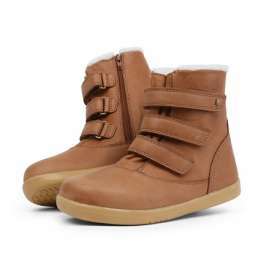 Bobux combines in a boot the benefits of going barefoot and the necessary protection to walk, run and jump. 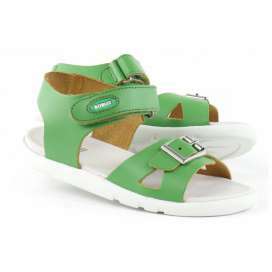 Designed according to the anatomy of the feet and with a sole with multiple flexible points that ensure maximum flexibility.Made of high quality leather, very resistant. Drop 0/Weight 38g/Stack Height 10 mm. 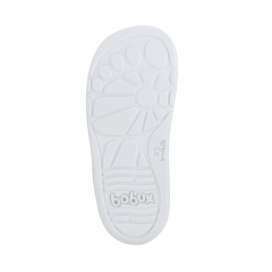 Bobux combines in a boot the benefits of going barefoot and the necessary protection to walk, run and jump. 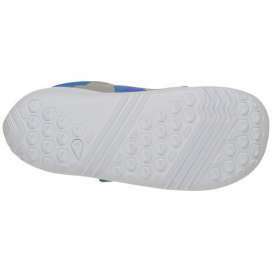 Designed according to the anatomy of the feet and with a sole with multiple flexible points that ensure maximum flexibility. 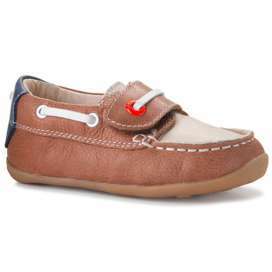 Made of high quality leather, very resistant. Drop 0/Weight 78g/Stack Height 10mm. 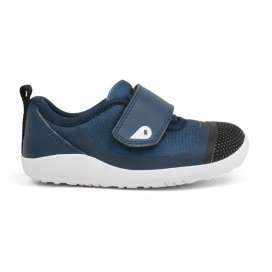 Bobux Play Aktiv combines the benefits of going barefoot with a breakthrough design created by the European designer Solene Roure to delight the little ones. 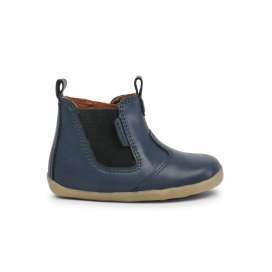 This minimalist shoe for children is the perfect shoe to wear all day long and has been designed according to the anatomy of the small feet. Drop 0/Peso 78g /Altura Suela 10mm. 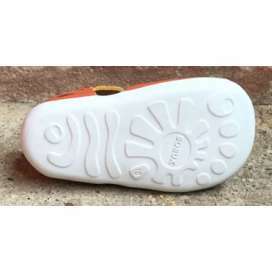 Bobux Aktiv Plus unifica un diseño actual creado por Solene Roure con una nueva suela muy flexible, duradera y que proporciona agarre en superficies resbaladizas. 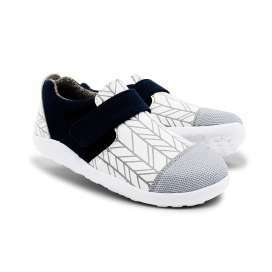 Están diseñados según la anatomía de los pies para ser el zapato perfecto para el día a día. Drop 0/Weight 78g/Stack Height 6 mm. 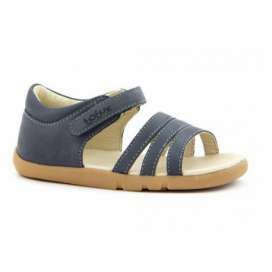 Bobux Lo Dimension Blue combines the benefits of going barefoot with a breakthrough design created by the European designer Solene Roure to delight the little ones. 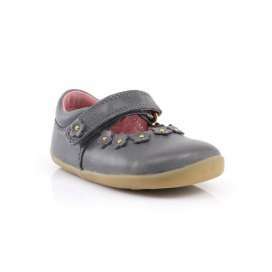 This minimalist shoe for children is the perfect shoe to wear all day long and has been designed according to the anatomy of the small feet. Drop 0/Weight 110g/Stack Height 10 mm. 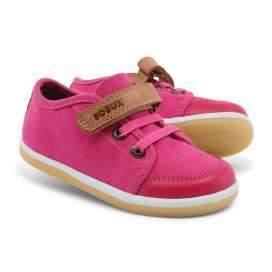 Bobux combines in a shoe the benefits of going barefoot and the necessary protection to walk, run and jump. 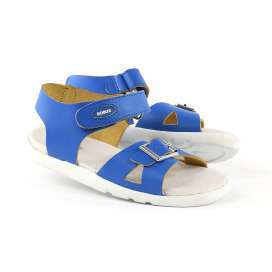 Designed according to the anatomy of the feet and with a sole with multiple flexible points that ensure maximum flexibility.Made of high quality leather, very resistant. Drop 0/Weight 95g/Stack Height 10 mm. 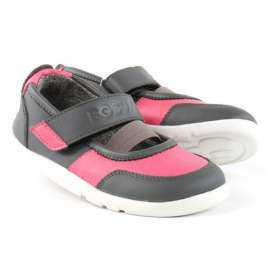 Bobux combines in a shoe the benefits of going barefoot and the necessary protection to walk, run and jump. 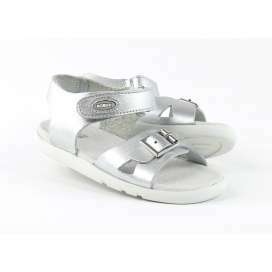 Designed according to the anatomy of the feet and with a sole with multiple flexible points that ensure maximum flexibility.Made of high quality leather, very resistant. Drop 0/Weight 78g/Stack Height 6 mm. 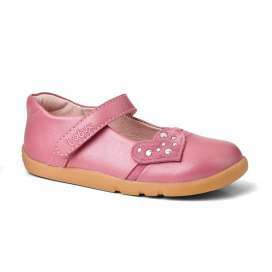 Bobux Xplorer Habitat Pink combines the benefits of going barefoot with a breakthrough design created by the European designer Solene Roure to delight the little ones. 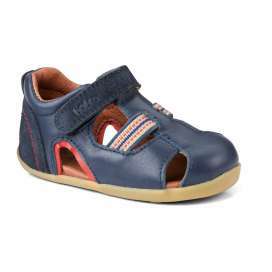 This minimalist shoe for children is the perfect shoe to wear all day long and has been designed according to the anatomy of the small feet. Drop 0/Weight 78g/Stack Height 6 mm. 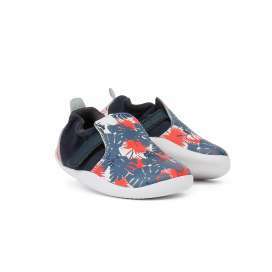 Bobux Xplorer Habitat White combines the benefits of going barefoot with a breakthrough design created by the European designer Solene Roure to delight the little ones. 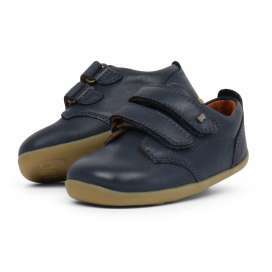 This minimalist shoe for children is the perfect shoe to wear all day long and has been designed according to the anatomy of the small feet.